Everyone knows home maintenance is important. It can extend the life of your home’s systems and appliances and keep your home in good working order for many years to come. But it’s not always easy to stay on top of all of the maintenance tasks you need to do to keep your home up to date. With these hacks, you’ll be able to make home maintenance just a little easier. They’re simple ways you can maintain your home in just a few minutes at a time. Keep your bedroom clean and healthy with these maintenance hacks for your mattress. 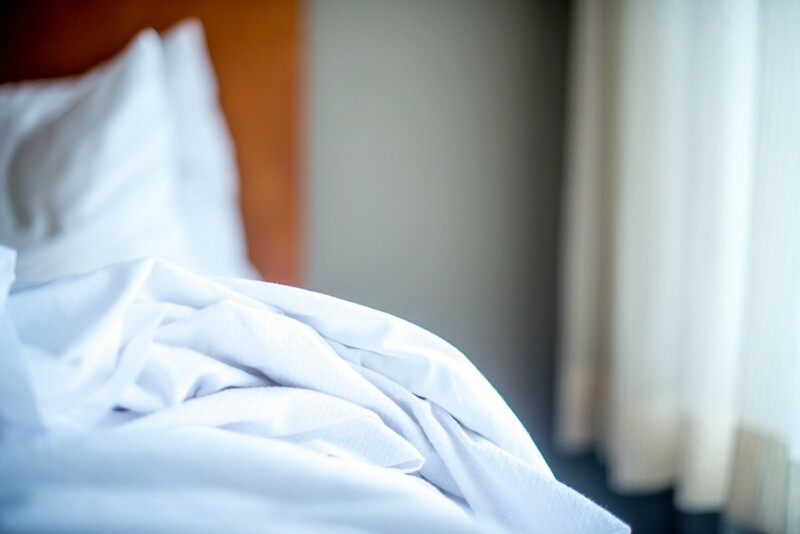 Use a cover for your mattress: Stop water stains and bed bugs in their tracks with a waterproof or bug proof mattress cover. Disinfect your mattress with vodka spray: Spray a light layer of vodka onto your mattress to kill bacteria and disinfect the surface. Allow it to dry and then replace your sheets. 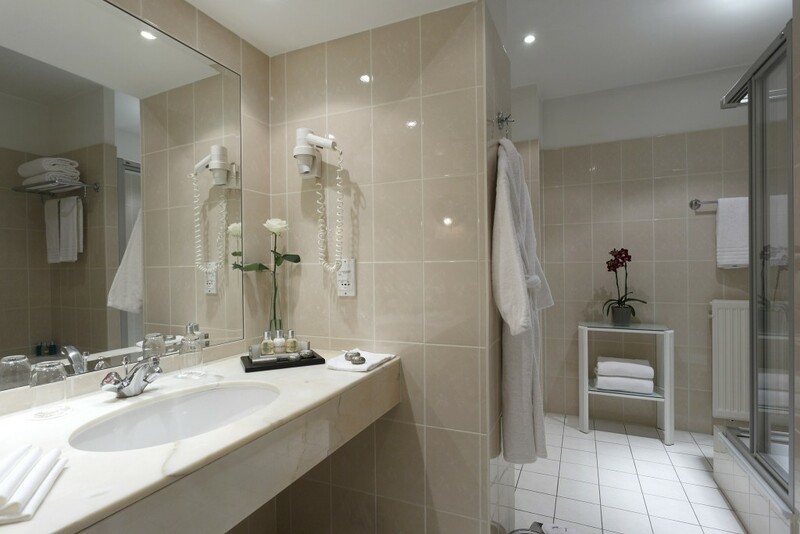 The bathroom is often one of the toughest places to clean and maintain in your home. With these hacks, you can stay on top of maintenance and make cleaning easier. Use painter’s tape for caulking: Caulking bathrooms can be difficult even for experienced DIYers. But if you apply painter’s tape first, you can get straight and even lines every time. Just clean the area first, allow it to dry, and apply painter’s tape. Apply the caulk and remove the tape while it’s still wet. Remove water spots from chrome with lemon: Water spots can be stubborn, but if you rub a cut lemon over chrome, you can remove them. Apply car wax to prevent toilet bowl stains: Put synthetic car wax on the walls of your toilet bowl to make it difficult for stains to stick. Recoat every six months or so. Put your shower curtain liner in the washer: If you’re having a hard time keeping your shower curtain liner clean, put it in the washing machine to get it clean. You can even use bleach. Just be sure to hang it to dry. Waterproof bathroom walls: Use rubber floor tiles to waterproof the walls in your bathroom, especially kids’ bathrooms. Clean your exhaust fan with canned air: Dust and dirt can build up in your exhaust fan, making it less efficient. Use canned air to get it clean. Clean grout with a bleach pen: Banish stains and bacteria from bathroom tile grout using a bleach pen. Polish chrome with baby oilGet chrome to shine like new with baby oil. Unclog drains with Alka Seltzer: Let tiny bubbles unclog your bath, shower, and sink drains without harsh chemicals. Remove shower head buildup with vinegar in a bag: Attach a bag filled with vinegar to your shower head and let it sit for a while to remove crusty build up. Remove hair from your drain with a drain snake: Hair in your drain can make it difficult to drain your bathtub or sink and even lead to clogs. Use a drain snake to pull it out quickly and easily. Remove hard water stains on faucets with a vinegar soak: No matter how hard you scrub, some hard water stains just won’t budge. Put vinegar soaked paper towels around them to remove the stains. Cooking oils, dust, and general dirt and grime build up quickly in kitchens. With these maintenance hacks, you can keep surfaces clean, shiny, and healthy while extending the life of your kitchen. 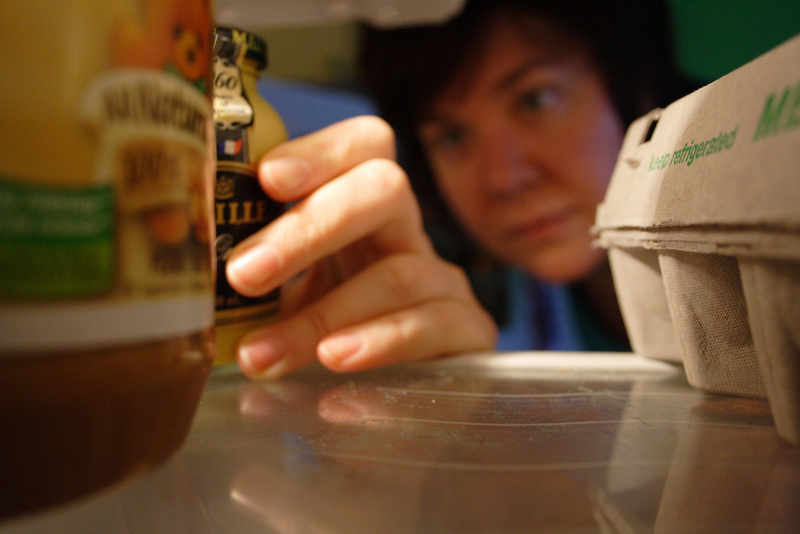 Pull your refrigerator out: Give your refrigerator an inch of breathing room behind it. Doing so will extend the life of the appliance and reduce your energy usage. Loosen microwave stains: Microwave white vinegar in a coffee cup for three minutes, then wipe out all surfaces with a damp cloth. Stop vent hood dust with oil: Vent hoods are kitchen dust magnets. Wipe yours down to clean it, then wipe it down with cooking oil or mineral oil to make it dust repellent. Spray freezer walls with cooking spray: Prevent ice build up in your freezer by spraying down areas with cooking spray. Let it sit a few minutes and wipe it off. The residue that remains will stop ice build up in its tracks. Microwave your kitchen sponge: A dirty sponge can make your dishes, table, sink, and counters dirty, too. This can lead to a buildup of germs and bacteria and even make you sick. Microwave a wet sponge in your microwave for two minutes, then let it cool. Be sure that it is wet, as a dry sponge in the microwave is a fire hazard. Clean your coffee machine with vinegar: Mix equal parts vinegar and water and run it through your coffee machine to wash it and remove mineral buildup. Run two more cycles before making coffee again. 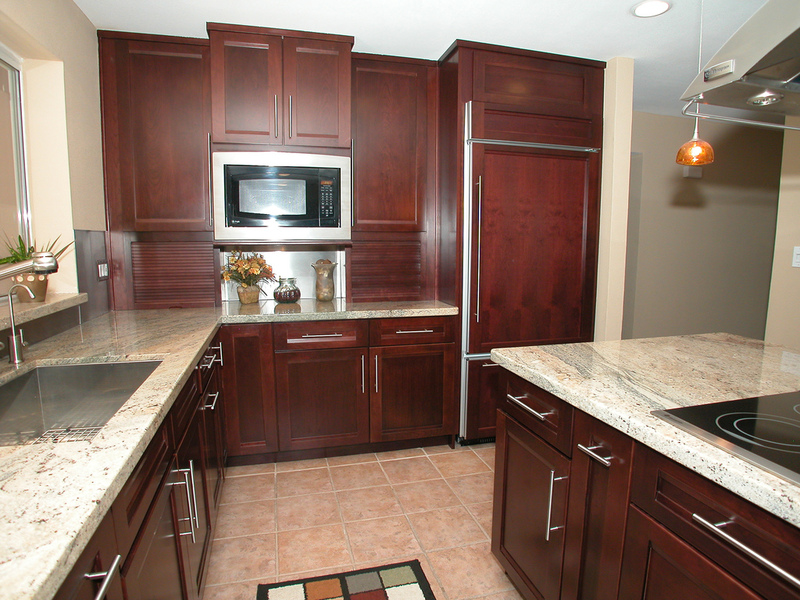 Polish stainless steel with WD-40: It’s tough to keep stainless steel appliances spotless. But if you wipe them down with WD-40, you can get a shine without spots. Polish silver with ketchup: Ketchup can remove tarnished spots from silverware and other silver items. Soak your vent hood filter in dish soap and water: Cooking oil and grime will build up in your vent hood over time. Remove it with a good soak in a mixture of dish soap and hot water. Whether you have carpet, hard wood, tile, or hard surface floors, there’s important maintenance to take care of. Learn how to prevent messes, fix squeaky floors, clean grout, and even pull dents out of hard wood floors with these floor maintenance hacks. Get an automated vacuum: If you have kids, pet hair, or just lots of dust and debris, you’ll need to vacuum daily, sometimes more than once a day. A robot vacuum can do the trick with ease. Some models even allow you to schedule cleaning sessions. Put baby powder in floor cracks to stop creaks: Fix creaky wood floors with baby powder, working it into the cracks until there’s no more noise. Clean grout lines with bleach gel: Use a bleach pen or toilet bleach gel to restore grout to its original color. Pull out dents with an iron: Fix dented wood floors by wetting the dent, applying a wet cloth, and then running a hot iron over it. Heal scratches with walnuts: Remove scratches from hard wood floors by rubbing walnuts on them. The soft nut and its oils will fill in the scratches. Clean pets before they make a mess: Before pets have a chance to drop fur all over your floor, brush them outside. This will cut down on fur floor messes. Keeping your appliances maintained is the simplest way to make sure you get as much life out of them as you can. Help them work clean and efficiently, and they’ll serve you for many years to come. Use these hacks to keep your appliances in good working order with less effort. Empty out ice every month: Ice absorbs freezer odors and can form into solid blocks. Empty out your bin every month. Clean your dishwasher: Your dishwasher makes your dishes clean, but it’s not always clean itself. It’s important for clean dishes to clean out the trap at the bottom of the unit and wipe down seals around the washer to remove bacteria. Repair damaged dishwasher racks: A damaged dishwasher rack can rust your utensils, damage dishes, or even cause your dishes to fall down. Fix these issues with a dishwasher repair kit. Clean your lint trap: Most people know it’s important to wipe out the lint in the filter, but did you know you need to vacuum link out of the trap and vent as well? Remove the accordion hose from the back of your dryer and use a vacuum attachment to clean it out. You’ll also need to get lint out of the lint trap cavity. Clean your front loading washing machine: Front loading washing machines often breed mold and odors. Clean the rubber seal of your washer to remove the mess. Clean refrigerator door gaskets: Clean dirty refrigerator gaskets with soapy water every few months to keep them healthy and make it easy for them to close tightly. Remagnetize refrigerator door seals: If the magnets in your refrigerator door seals are loose, remagnetize them by running a powerful magnet along the gasket in the same direction many times, about 50. Group similar grocery items in clear plastic refrigerator bins: Make it easy to find refrigerator items and cut down on clutter with clear plastic bins. Line fridge shelves: Use plastic wrap to line refrigerator shelves. This will make it easy to clean them up: simply replace with new plastic wrap instead of scrubbing. Clean refrigerator condenser coils: Vacuum your refrigerator’s condenser coils and fan every few months to avoid letting them clog up with dust and pet hair. This can lead to wasted energy and unnecessary strain on your compressor. Clean your oven regularly: Keeping your oven clean can help you avoid appliance repairs, helping it function more efficiently. Place baking soda, vinegar, and water in an oven proof bowl, bake on a low heat, then wipe down all surfaces once it’s cool enough to touch. Put condiments on a lazy susan: Make it easy to reach condiments without knocking bottles over by putting them all on a lazy susan. Fill empty milk jugs with water and put them in the freezer: Freezers work best when they’re really full, so if your freezer has a lot of extra room, add a milk jug full of water to it to take up some space and keep things cold. 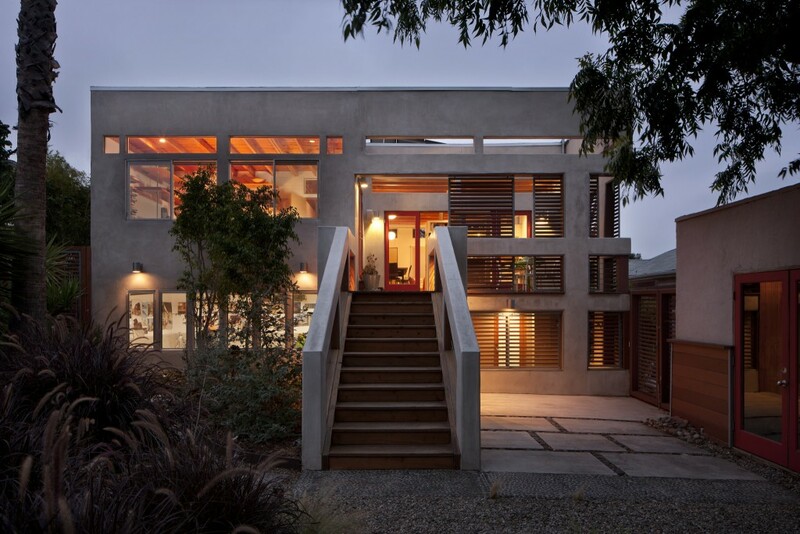 Walls and windows are often overlooked, but they’re an important part of your home to maintain. Patch up holes, keep windows clean, and maintain your wall paint with these maintenance hacks. Fix glass chips with nail polish: While it’s not a perfect solution, nail polish can fix up your window until you’re ready to have it replaced. Repair tiny chips in your windows by applying clear nail polish in thin layers until the hole is filled. Stop baseboard hair and dust with dryer sheets: After cleaning baseboards, wipe them down with dryer sheets. The residue will resist hair and dust. Repair drywall with makeup sponges: If you need to repair a small drywall hole but don’t have mesh or paper tape available, a makeup sponge will do. Simply cut it to size, put it in the hole, spackle over, then paint. Keep drapes off the floor: With drapes off of the floor, they’ll be less likely to attract dirt, dust, and hair. That means you won’t have to clean drapes as often. Clean walls regularly: Spot clean walls as you notice dirty spots and wipe them down completely at least once a year. This will help you avoid a build up of grime and oils that can be difficult to remove once there’s a lot of it. You can avoid having to paint if you keep your walls clean. Use compressed air for hard to clean window spots: Window hardware and other areas may be difficult to reach and clean. Use an air compressor for these spots. Keeping good air quality in your home isn’t often a priority, but it’s important to your family’s health. Make sure the air in your home in clean, clear, and well maintained with these hacks. Clean your house: A clean house is the first step to better air quality. 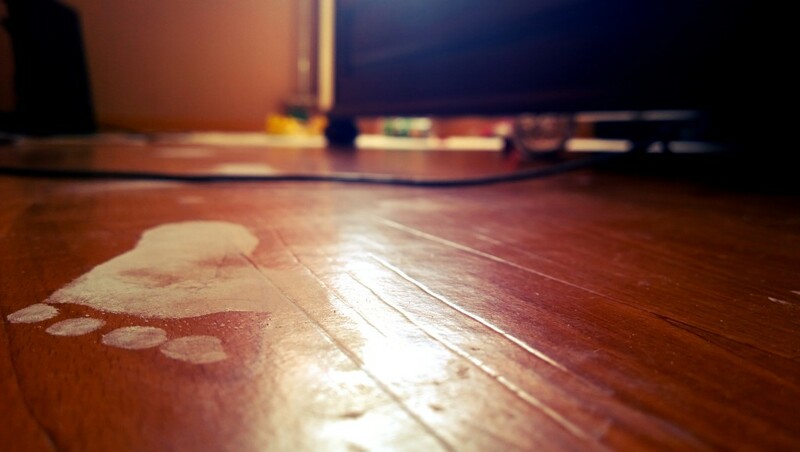 You’ll remove dust and dirt from carpets, floors, and surfaces. Add air purifying plants: Bring air purifying plants into your home to absorb odors and chemicals. 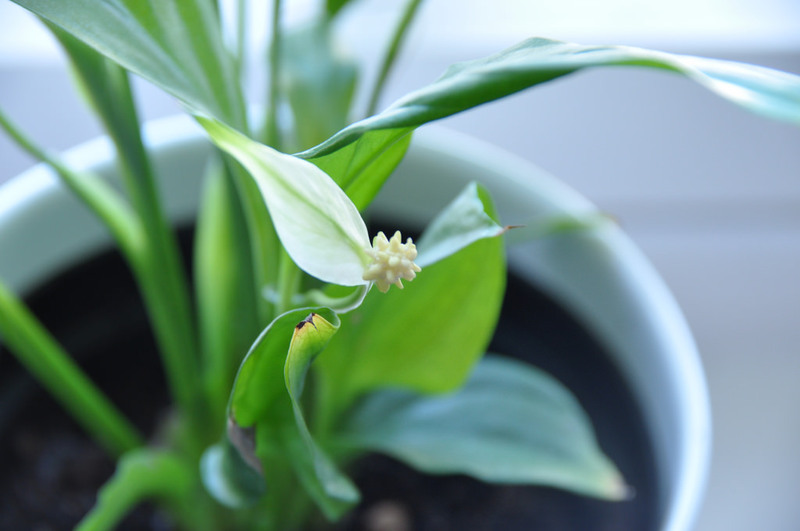 Peace lily plants, for example, absorb ammonia and formaldehyde. Other great plants for indoor air quality are English ivy, bamboo palm, dracena, chrysanthemum, and ficus. Open up windows in the spring: After keeping your house closed up tight all winter, let the sun shine in to wipe out mold growth. Let UV rays in to kill mildew and cut down on moisture. Use natural air fresheners: Instead of scented candles and home sprays, use natural air fresheners with essential oils. Scented home fragrances can introduce toxins into your air. Turn your air conditioner’s fan on while dusting and vacuuming: As you clean, you’re kicking up dust and dirt that redistributes into the air. If you turn your fan on at the thermostat, some of that dirt and dust will be captured by the filter in your air conditioning system. Never let your car idle in an attached garage: Idle your vehicle in an attached garage and dangerous fumes can get into your living space. Let your car warm up or cool off outside. Insulation is incredibly important for keeping your house cool in the summer and warm in the winter. With these insulation maintenance hacks, you’ll be able to make the most of your home’s defense against the elements. Fight drafts with foam outlet insulation: Your outlets and switches can cause significant energy loss. Fix this problem for pennies by adding foam insulation pads. Stop a drafty door with a rolled up towel: Need a quick and temporary fix for a drafty door? Just place a rolled up towel underneath to cut down on air loss. Insulate your garage door: Add insulation to the inside of your garage door to make your garage and home warmer or cooler depending on the season. It will also be quieter. Caulk and weatherstrip all doors and windows: Save on your electricity and heating bills with simple caulking and weatherstripping. Cover your water heater: Add a blanket to your water heater to keep the tank from losing heat. 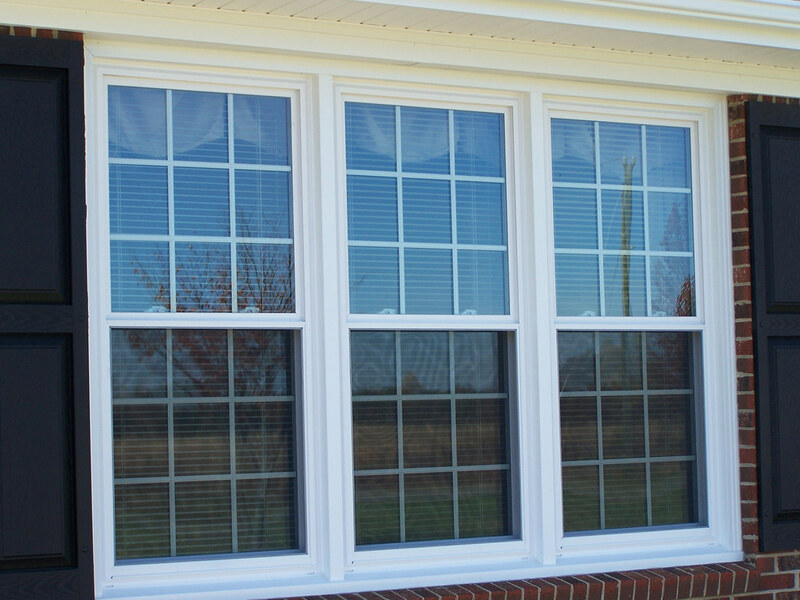 Insulate window panes: Add see through insulation to your window panes, and you can cut down on energy loss, especially in the winter. Program your thermostat: Automate the temperature in your home with a programmable thermostat. You’ll be able to set it to the right temperature once and won’t have to update it again until seasons change. Create a draft guard out of a pool noodle: Cut a pool noodle and place it onto the bottom of your door to make a cheap and easy draft guard. 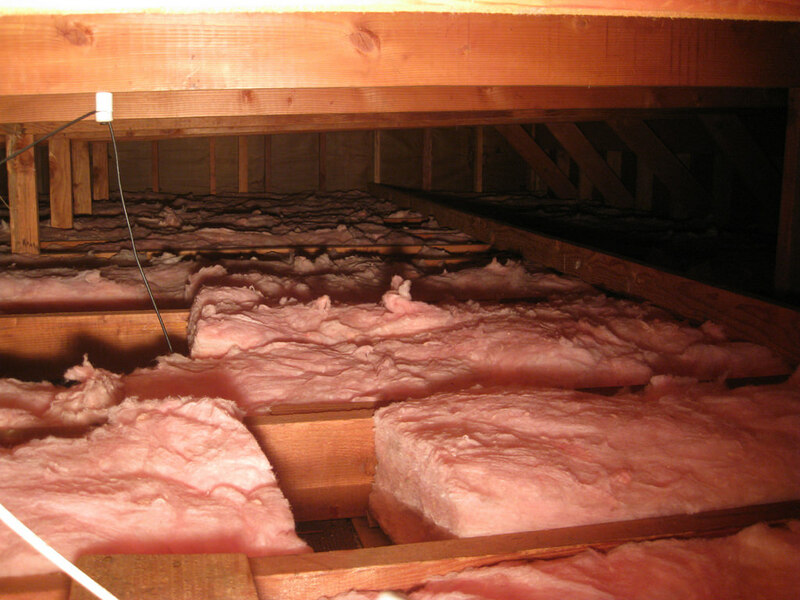 Update insulation in your attic: Make your attic more efficient and keep it from letting cool or warm air escape with adequate insulation. Keep exterior paint updated, prevent gutter build ups, and more to keep your outdoors easy to maintain. 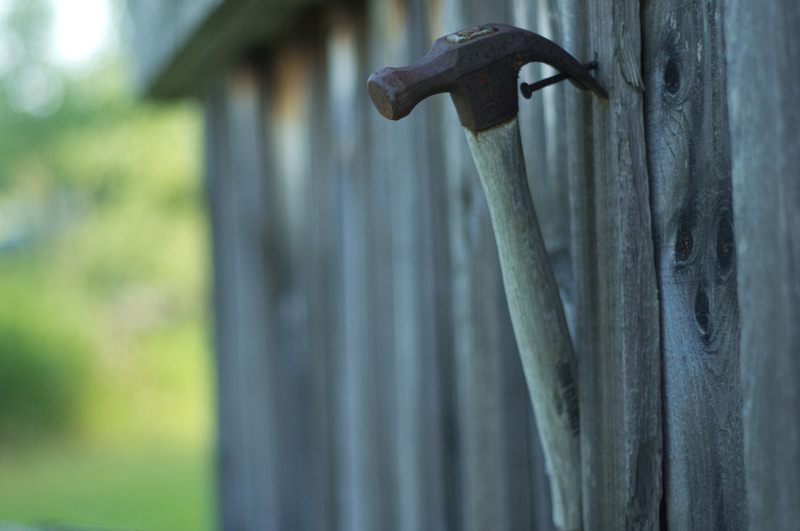 These exterior maintenance hacks make it easy to stay on top of it all. Stop stuck mower blades with cooking spray: Use cooking spray or WD-40 on your mower blades to keep grass clippings from sticking. Install gutter protection: You should clean out your gutters each fall ahead of winter weather, but you can cut down on clogs all year long with a gutter protection system. This kind of system will stop leaves and other debris from entering your gutters, only allowing water through. Water plants with wine bottles: Going out of town or just can’t seem to remember to water your plants? Fill an empty wine bottle with water and stick it in the soil upside down. The plant will gradually take as much water as it needs. Install reusable mulch: Instead of laying down new mulch every spring season, get plastic mulch for a more permanent solution. Touch up exterior paint: Keep an eye out for trouble spots and touch up exterior paint to avoid having to repaint your entire home. 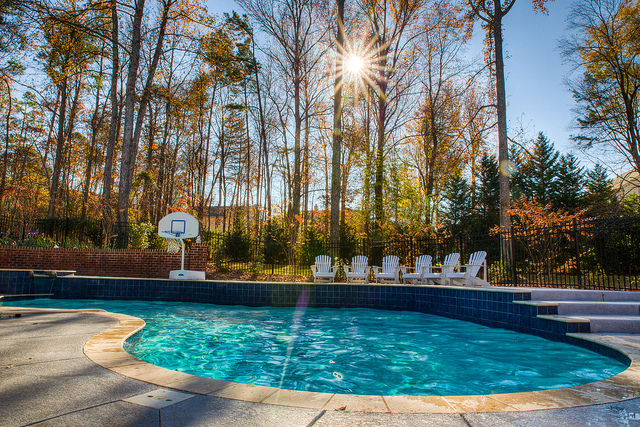 Want to keep your pool clean and clear all year long? These pool maintenance hacks make it easy. Collect filter debris with pantyhose: Wrap pantyhose around your filter’s skimmer basket to collect fine debris in your pools. Don’t allow clothing in the pool: Swimsuits are fine, but regular clothing has fiber and dyes that can cause problems for your pool. Don’t allow swimmers to wear clothes other than swimsuits in your pool.